Service only for those who stay. About 30 minutes before and after breakfast sightseeing tour! Keicho runs only the way of those days, we are guiding you from the car, such as stone walls on both sides, earth walls, samurai residences, castle ruins etc. 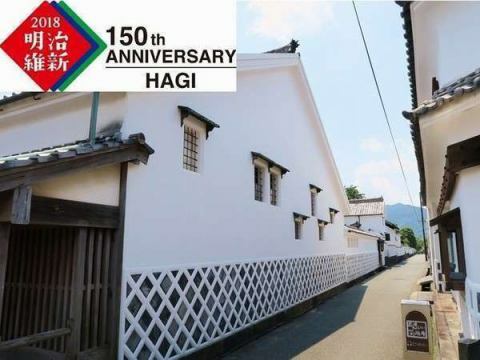 Please participate in the memories of Hagi, a town in history. 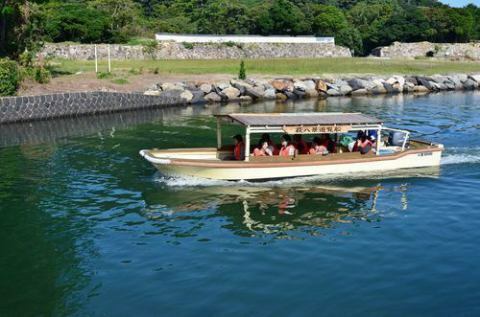 "Supplement", Histric remains of Hagi castle from Shizuki Bridge Histric remains of Hagi castle horizontal, while looking at the Hagi Castle Town and Horiuchi conservation district of traditional buildings that have been registered as a World Cultural Heritage in 2015 July, to Hashimoto River. A round-trip route of about 40 minutes to make a U-turn at the former Tanaka Bureaus and look at one of the Hagi 8 scenic spots. A beach in front of our hotel! 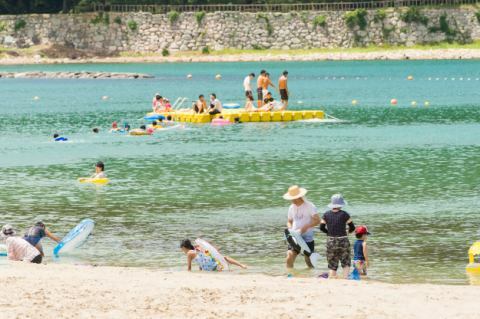 【Supplement】 Along the Hagi Port from the Histric remains of Hagi castle National Designated Historic Site, the coast of the White Sand Awamatsu which continues to Hamasaki Shopping Port.From the sandy beach it is a great location where you can see Mt shizuki, Mt Kasa and many islands.It is selected as "100 Bathrooms Bathing Pavilion" and the beautiful sunset scenery is also an excellent view. 【Supplement】 Hagi clan school Meizunkan is a shrine built in Higashi Sannomaru (Horiuchi) for the young lady Yoshimoto's 5th generation lord Yoshimoto's education for his younger brother.In the premises there is the main building of the former Mei Lung Elementary School, which is registered as a national registered tangible cultural property in 1996. 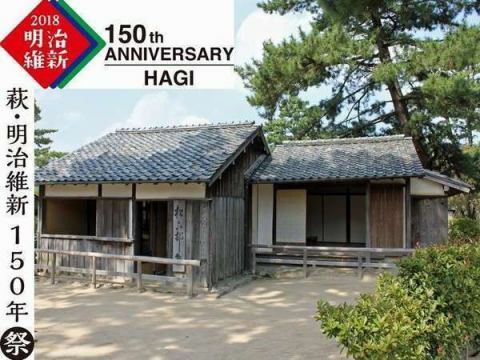 【Supplement】 Hagi Castle Town is an asset that represents politics, administration, and economy in the local community at the time when Japan aimed at industrialization at the end of the Bakumatsu, and consists of three districts: castle ruins, former senior warrior districts, and former town people districts. Hagi Castle Town, Edo era of tradition and identity system, which Edo period of the community tried to industrialization had, very has been evaluated that shows well the socio-economic structure. 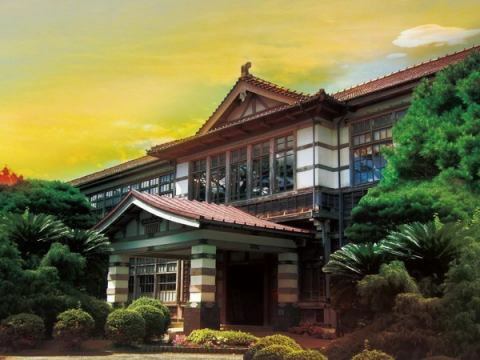 "Supplement", private school which Yoshida Matsue presided over at the end of the Edo period. Building of wooden tile roofed building of about 50 square meters, we have a room of 14 square meters from the beginning and 8 square meters room with Yoshida Matsuei expanded, 5 square meters room, 1 bedroom with duplex floor, with mezzo floor It is made up.In the room of 14 square meters that was a lecture room, there are plaster figures and portraits of the shrine, desk.